Bree United has yet to win in this competition, having lost all 7 games. 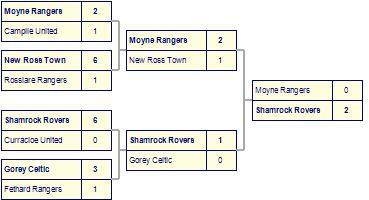 Tombrack Utd come from a 5-0 loss away against Gorey Celtic B.
Tombrack Utd beaten by Kilmore Utd. 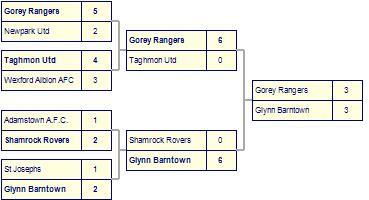 Tombrack Utd suffer defeat to Gorey Rangers.